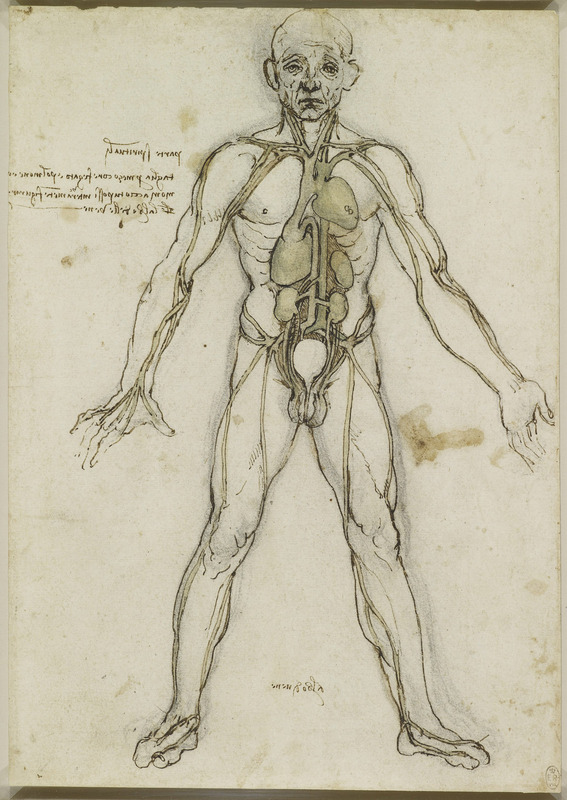 I’ve always found anatomical drawing fascinating. At its best, it occupies an aesthetic space somewhere between mystical fine art and cutting-edge scientific observation---a space carved out during the Italian Renaissance, when the boundaries between artistic training and scientific inquiry were permeable and often nonexistent. 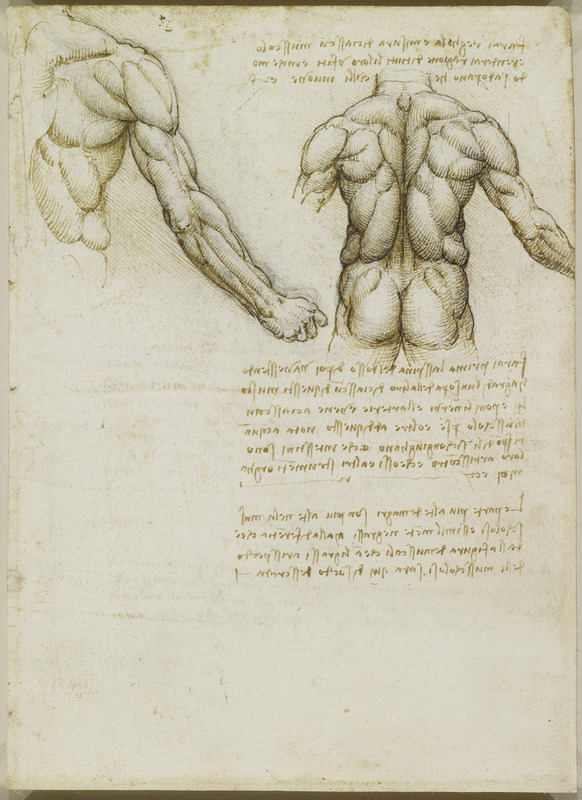 Artists like the great Michelangelo Buonnarroti and Leonardo da Vinci---as well as lesser-known figures like Antonio Pollaiuolo and Baccio Bandinelli---undertook “detailed anatomical dissections at various points in their long careers,” producing hundreds of sketches and studies alongside and in preparation for the muscular paintings and sculpture for which they’re best known. 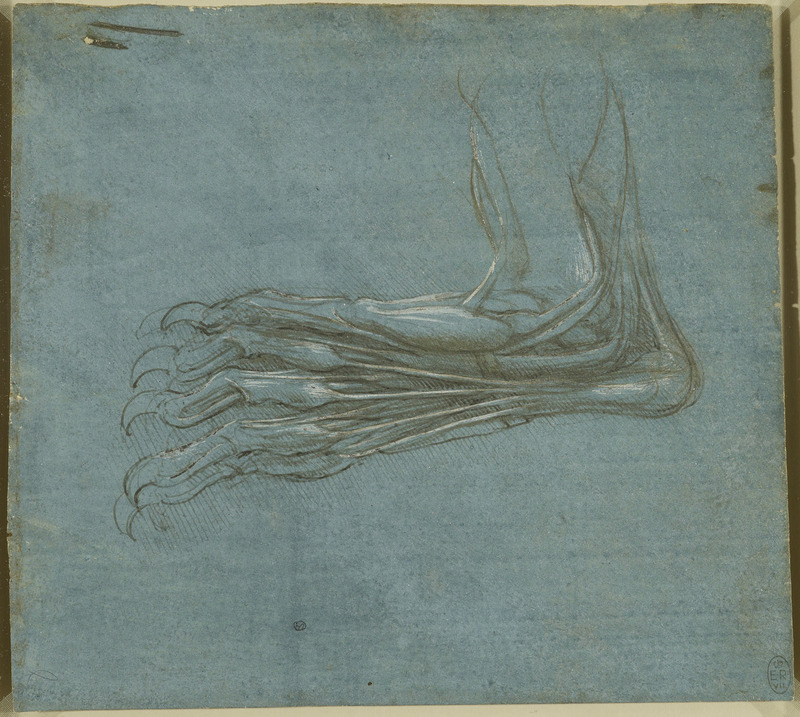 Most Renaissance artists “became anatomists by necessity,” the Met points out, “as they attempted to refine a more lifelike, sculptural portrayal of the human figure.” Leonardo’s studies in anatomy, however, held a scientific interest all their own, akin to his investigations into the physics of flight, weapon and battlement design, architecture, and other pursuits. 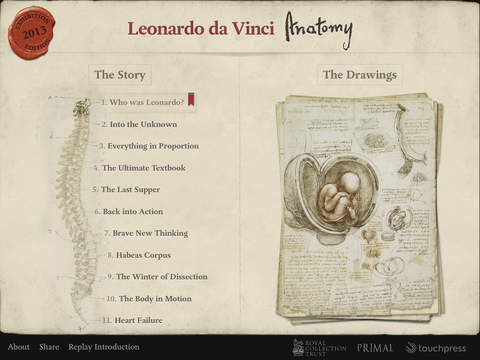 In addition to the many intriguing sketches, studies, and detailed illustrations in the Royal Collection Trust’s online archive, iPad owners can also search and view the collection on their devices with the free Leonardo da Vinci Anatomy app (screenshot above). 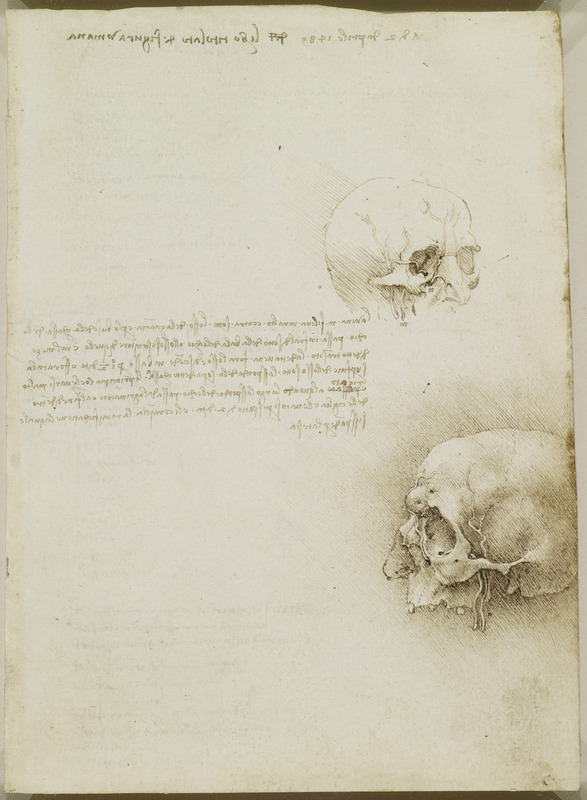 “For the first time,” writes the description, “it is possible for anyone with an iPad to own and explore this remarkable testament to Leonardo’s scientific and artistic genius…. 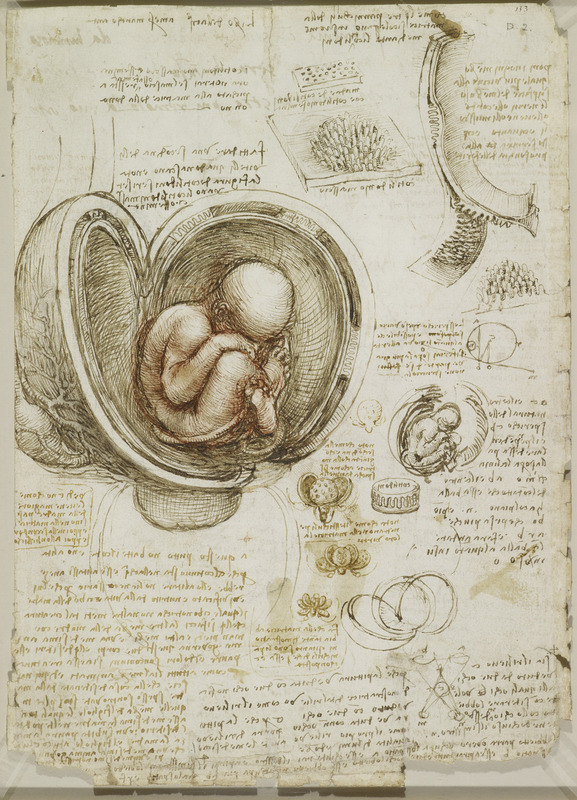 All 268 pages from Leonardo’s notebooks are presented here at the highest resolution, optimized for the pin-sharp retina display of the iPad.” The app includes incredibly helpful features like English translations of the notes, as well as essays and interviews with experts discussing the significance of Leonardo’s discoveries. Whether you own an iPad or not, you can benefit immensely from this collection. 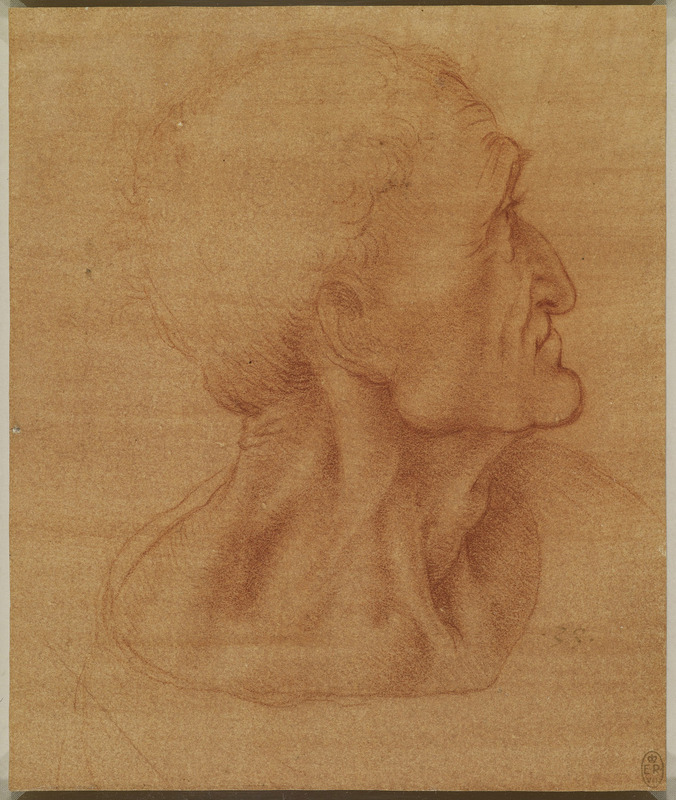 The online version allows viewers to download high-resolution images like the “Head of Judas” sketch in red chalk above (c. 1495). Once on the page, click the download arrow to the bottom right of the drawing and you’ll be taken to a larger version of the image. 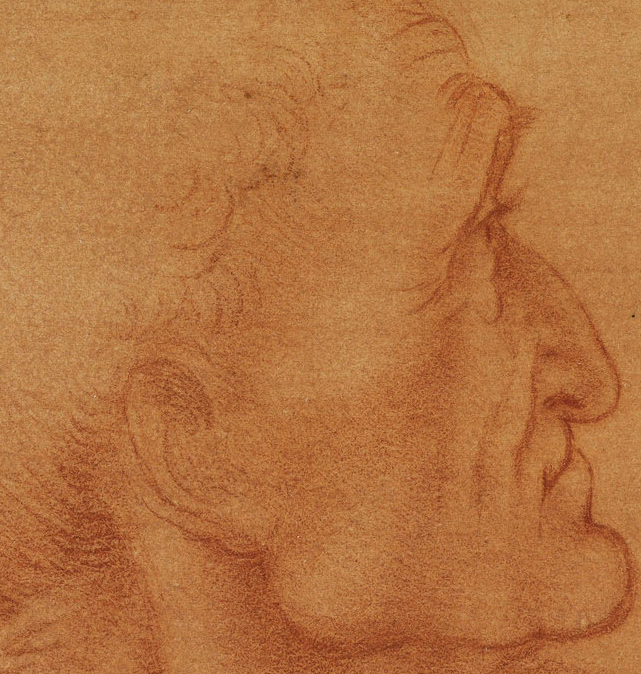 You can zoom in to examine details, like the very fine lines and subtle shading that mark each of Leonardo’s illustrations, from the most utilitarian to the most artistically-rendered, as the special creations of an extraordinary artist with a gifted scientific mind. The Leonardo App for iOS is not free. Costs US$13.99.